Book Now Savings up to US $2,000*! Shipboard Credit Offer: Prices quoted are per person, based on double occupancy, cruise only fares. All space is capacity controlled and may not be available in all categories on all voyages. Amenities, pricing & departure dates are subject to availability and may change without notice. All individual cruise line policies and procedures apply; please refer to each cruise line brochure for details. 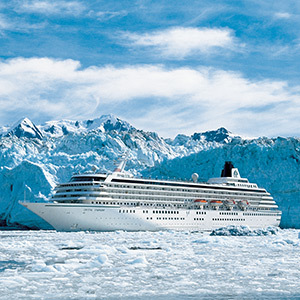 Cancellations, refunds and penalties are those imposed by the individual cruise lines. An additional security service fee as imposed by the US Department of Transportation (DOT) may apply to all air/sea bookings. All terms and conditions are subject to change without notice. Guests must be booked in a featured group departure to receive amenities. Amenities apply to 1st and 2nd passengers only. If group space has been recalled or canceled by the cruise line, amenities cannot be applied.